The times have demanded that I kick out a slightly updated version of “At the Tone”, as well as a humble request to your readership. I’ve also shared a long WWVH recording with you for the Archive by special arrangement. The good news is that anyone who purchased it previously can simply re-download the album in their chosen format from their purchase history page on Bandcamp. They will be instantly treated to the new version with all the additional tracks and liner notes. There’s a new second recording of the 1972 WWV station ID, postdating the big format change in 1971. I’ve replaced the very short WWVH 1990 broadcast sample with a longer recording which I finally got around to cleaning up from the box of reels and cassettes sent to me by the station in 2015. I don’t know the exact date, because it came on an undated handwritten cassette labeled “JB on Old Audichron TCG”, but the broadcast format and announcement indicate it’s from the 1980s sometime up until the digital voice replacement in 1991. I attach a scan of the cassette itself. I’ve done a better job cleaning up the (also WWVH-sourced) 1992 station ID recording from the original master cassette, so I’ve swapped out that track, although it’s otherwise identical in content. So, to piggyback on that: my gift to you via Archive.org is the complete unedited 1980s WWVH recording, which runs 23 minutes total. I figured this would be a nice thing to share at this particularly turbulent moment in the station’s history. The tape was in pretty bad shape when I received it, so while I’ve done the best I can to bring it up to par, there are some audibly wonky things going on from time to time. Lastly, since WWV and WWVH are so much on people’s minds right now, I’m putting out one more call for recordings. In particular, I don’t have good quality versions of the terrible 1991-era digital voices — I’d love to have longer or better tapes of those, especially if they include station IDs. I also lost my recording of the emergency system test announcement in October 2010, not to be confused with the tests conducted in July of that same year! Beyond those, though, I’d love to hear of any other recordings folks have dug up recently. There’s been some great stuff shared to the Archive already, but I’m always on the hunt for more to add to “At the Tone.” Contributors will be thanked in the liner notes and will be offered unlimited downloads of the set as they see fit to distribute. And if people have really special WWV recordings which they think might be locked away on on an obsolete or unplayable format, they should also get in touch – WWVH themselves entrusted me with transferring their own archival recordings, so I have some good credit in that department. I can also vouch for Myke as a trusted custodian of any archived NIST time station recordings you may have. Readers: if you have any WWV or WWVH recordings you’d like to share with Myke, please comment or contact Myke directly via his website. Myke, I would like to thank you for adding this rare unedited 1980s WWVH recording to the Shortwave Radio Audio Archive. What a gem–many thanks! If you would like to purchase and download At the Tone, please click here. As Myke mentioned, if you’ve already purchased At The Tone, simply login and download the updated version for free. This entry was posted in News, Nostalgia, Radio History, Shortwave Radio, Updates and tagged At The Tone, History of WWV, Myke Dodge Weiskopf, WWV, WWVH on August 27, 2018 by Thomas. 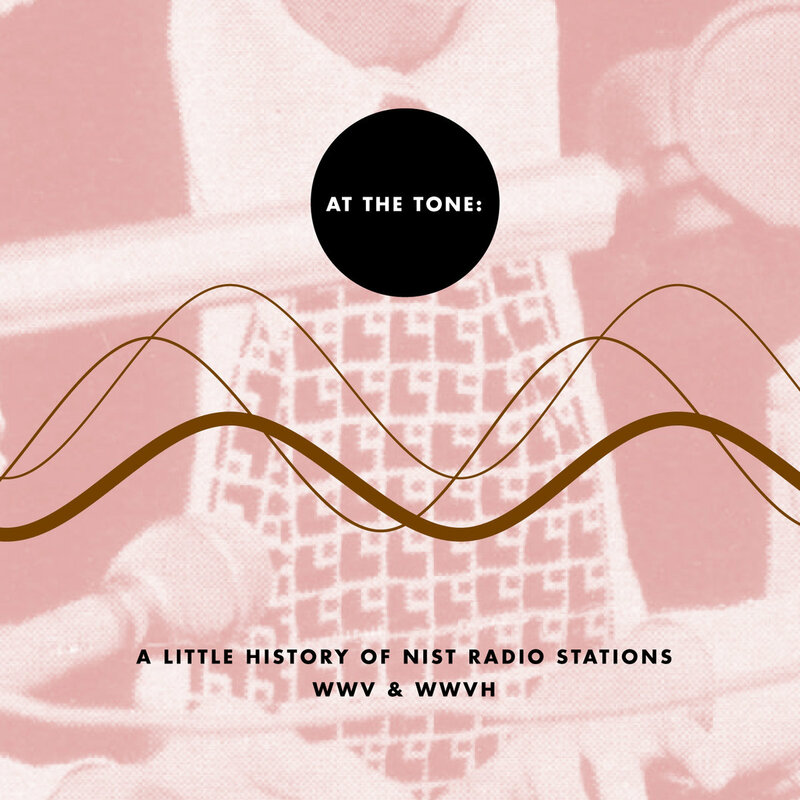 Almost five years ago, I wrote about a unique collection of archived recordings called At The Tone: A Little History of NIST Radio Stations WWV & WWVH. Producer Myke Dodge Weiskopf recently released a new and expanded edition of At The Tone which is now available for purchase and download. Click here to purchase the new digital edition of At The Tone. Myke is also giving away a free download of At The Tone to a lucky SWLing Post reader! Simply comment on this post, noting the first time you heard WWV: note both the year and the model of receiver used. Myke will pick a winner from the comments next Wednesday (November 25th). If the winner has already purchased the expanded edition of At The Tone, Myke will reimburse the purchase. Good luck! This entry was posted in New Products, News, Nostalgia, Radio History, Shortwave Radio and tagged At The Tone, Myke Dodge Weiskopf, Myke Weiskopf, WWV, WWV Audio, WWVH on November 18, 2015 by Thomas. 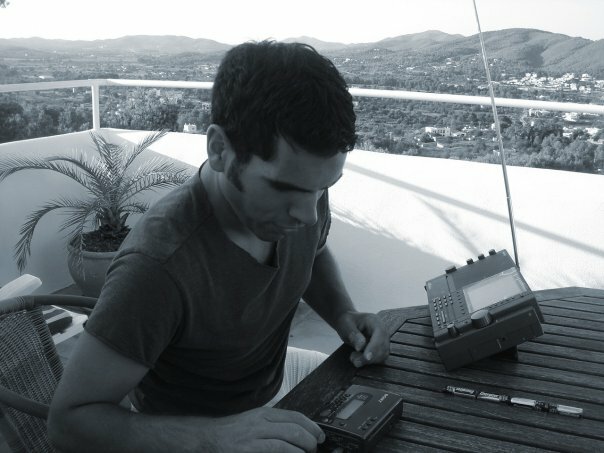 For more information about Myke’s on-going project, ShortWaveMusic, check out his website. Great to see a new post from you, Myke! This entry was posted in Art, Music, News, Recordings, Shortwave Radio, What's On Shortwave and tagged Myke Dodge Weiskopf, Myke Weiskopf, Myke.me, Shortwave Music on June 4, 2015 by Thomas. “I went through all 600+ recordings of mine and generated a highly accurate Google Earth KML file pinpointing all the transmitters (along with reception details). Lots of fun for SWL types to fly around and look at antenna farms! Note that the next season of shortwavemusic starts on October 1st. Check out Myke’s website for more details! 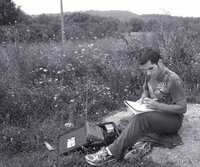 This entry was posted in Art, News, Shortwave Radio, SWLers and tagged Myke Dodge Weiskopf, Myke Weiskopf, Myke.me, Shortwavemusic on August 27, 2013 by Thomas.